Jennie Trout the quintessential feminist and Christian physician left an indelible mark as the first woman to practice medicine after bagging her MA in medicine on March 11, 1875, and passing her registration exams the same year. Despite the demeaning treatment given to Jennie and Emily Jennings Stowe after receiving admission to study medicine at the University of Toronto, both women weren’t discouraged. Emily after sitting for her exams in 1880 became the second woman licensed to practice medicine in Canada. Jennie Kidd Gowanlock was born on April 21, 1841, in Wooden Mills, Kelso, Scotland. Seven years later when Jennie was six years old her family relocated to Ellice Township near Stratford, Ontario in Canada in 1847. After high school in the town and acceptance as an adult to be a member of the Free Church in 1860, Jennie became a public school teacher in Stratford and taught for several years from 1861 and 1865 until she met, courted and married Edward Trout. Edward once sold adverts for Toronto Leader and co-owned a finance newspaper called the Monetary Times in Toronto with his brother named John Malcolm in 1867. Jennie married Edward on August 25, 1865, in Stratford, Upper Canada, took his last name and moved to Toronto with him. The couple had adopted children, a boy, and a girl. Jennie suffered from nervous disorders and other chronic illnesses; but with a positive electrotherapy result, she was motivated to study medicine. At that time, women studying sciences was one of the least acceptable norms in society. But Jennie and her classmate Emily Jennings Stowe by special agreement gained admission to the University of Toronto to study a one-year course. Emily protested the unfair and hostile treatment of men against women in the school and refused to write her exams. Feeling intimidated and criticized, Jennie left Toronto School of Medicine as she was called to Woman’s Medical College of Pennsylvania. Jennie Trout who was at the Woman’s Medical College of Pennsylvania, graduated on March 11, 1875, with an M.D., making her the first licensed female physician in Canada. She wrote her exams for the College of Physicians and Surgeons of Ontario a month later with ease, she became the first licensed female medical doctor in Canada. Emily Jennings Stowe later sat for her own exams in July 1880 and broke the record as the second female licensed medical doctor. After her graduation, Trout became a medical entrepreneur and woman philanthropist. She established a Therapeutic and Electrical Institute in Toronto with her friend Emily Amelia Tefft. The outfit provided treatment services for women using galvanic baths or electricity on Jarvis Street; with 60 patients and 40 of them treated per day. As a philanthropist, part of Jennie’s way of giving back to the society was by providing free dispensary to the poor in Toronto for six years. Her business became so successful and she opened branches in Brantford, Ontario, and Hamilton. Jenny as her name was spelled, moved to the north of Stratford in 1847. Her parents, Elizabeth Kidd Gowanlocks (mother) and Andrew Gowanlocks (father), were devoted Knox Presbyterian churchgoers and farmers who owned a ten-acre farm growing potatoes, turnips, and hay. She made history for being a successful business medical doctor but unfortunately, Jennie’s chronic illnesses made her retire at age 41 (1882) in Palma Sola Florida. 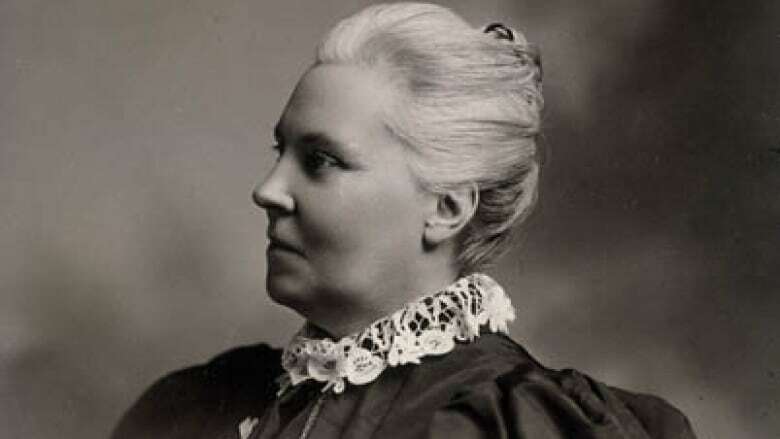 But her undying passion to see women become medical doctors which were inspired by her cause as a feminist and her religion as a devoted Christian led her influential and financial contribution to establish a woman’s medical school in Kingston an affiliate of Queen’s University on June 8, 1883. There, women filled the majority of the trustee seats. As the school’s principal benefactor, Jennie gave $200 to the school for five years. Shuffling between Florida, her retirement home, and Ontario where her businesses were, her family later moved to Hollywood. Jennie Trout died on November 10, 1921, at the age of 80 in Los Angeles, California while her husband died 13 years after. Jennie Trout was a fervent promoter of women in medicine, especially in Canada. Developing interest in Bible study, foreign mission and medical matters, Jennie wrote in 1881” I hope to live to see the day when each larger town (at least) in Ontario will have one good true lady physician working in His name”. To commemorate her achievements, the Canada Post issued a postage stamp to honor her in 1991.